At Flocab, we love the opportunity to hang with teachers. Our inspiration levels are at an all time high when we connect innovative educators out there who share their suggestions, stories and passions. That’s one of the reasons we’re stoked to take off to Denver this weekend to kick it with edtech savvy educators from around the world at #ISTE2016! Will you be at ISTE too? 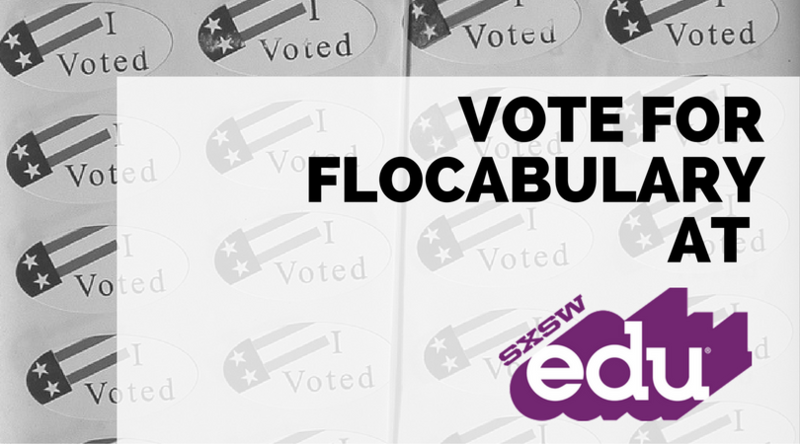 Don’t miss the Flocab crew at booth 920—we’ve got some awesome things planned. Check out our ISTE 2016 highlights below, and don’t forget to follow along on Twitter! 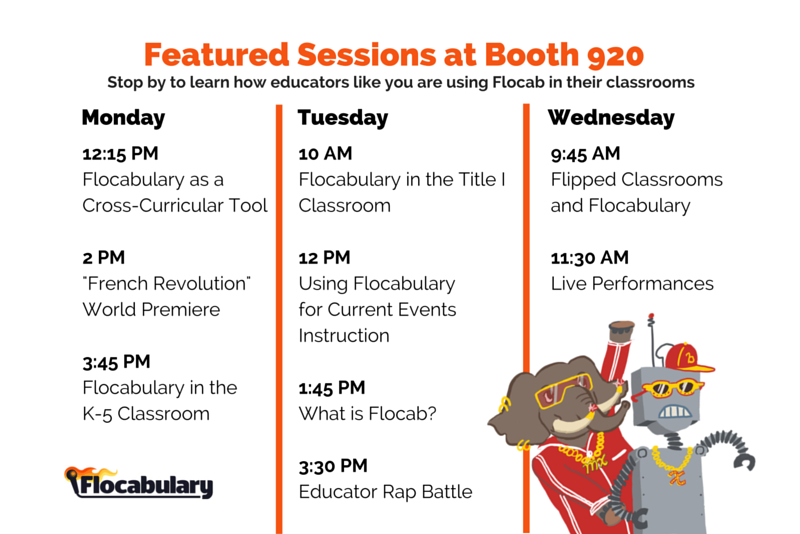 “Flocab 411” will give visitors a crash course on all things Flocabulary, plus a glimpse at our newest features. Our “Tap into WRAP” sessions will teach educators the secret to the Flocab rap formula, so they can work with students in the classroom to create their own educational rhymes! We’re asking teachers to write an 8-line rap based on the theme This Is Why I Teach. 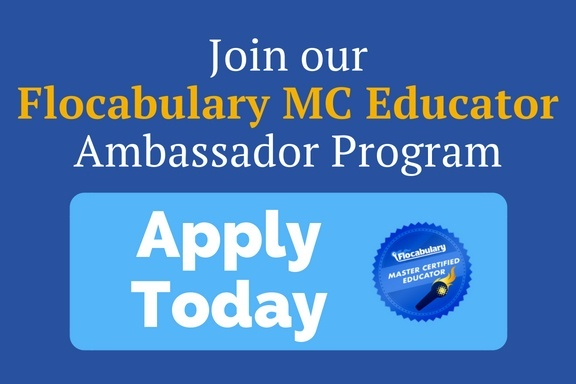 Our finalists will perform raps alongside some of Flocabulary’s very own rappers, and the winner of the rap battle will get a Flocab subscription for their entire school (a $1,600 value). Want to enter? Find out more here. Ever wondered who the rappers are behind your favorite Flocab jam? Stop by our booth to meet some of our very own recording artists AND see them perform Flocab favorites live! We have plenty of opportunities to win some sweet swag. 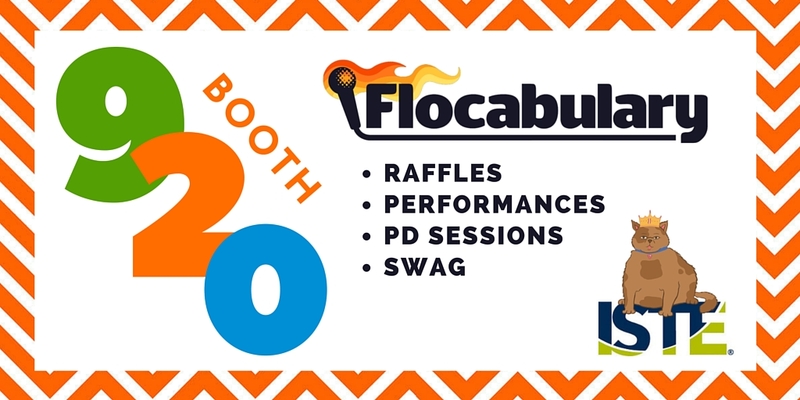 Stop by our booth to learn how you could win a school-wide subscription for your school, a Flocab swag bag, and other fun and Flocabby goodies (temporary tats and collectable character buttons, anyone?). Can’t wait to see you there! And if you want Flocab’s ISTE updates delivered right to your inbox, fill out our ISTE 2016 Google Form.